I remember January 2016, when I started this Blog. MAME on MacOS was working, but a somewhat limited venture with scarce information being available on the Internet. I started this blog based on my own trial and error attempts. Since a lot has changed to the better. 44 posts and 41.000 page views later, it's time to have a look at the current state of MAME on Macs. 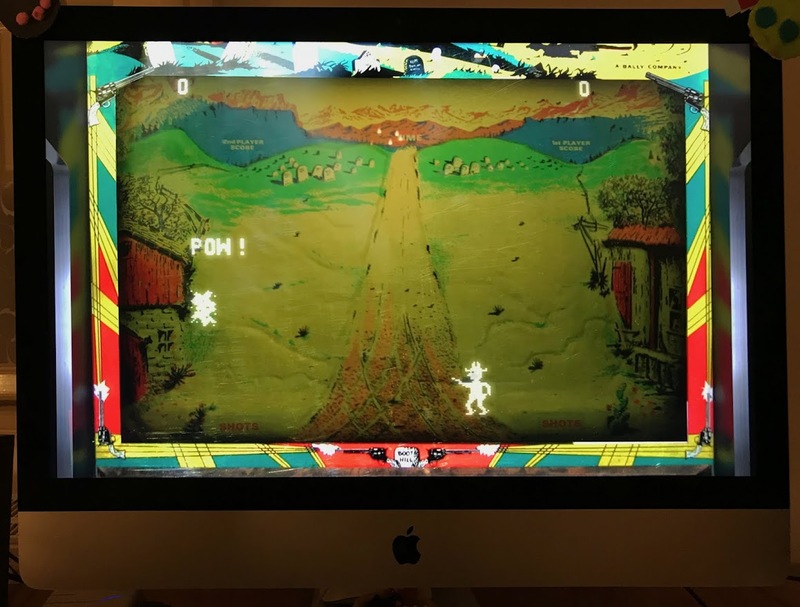 The official MAME build shines on Macs, and there is really nothing to complain for the dedicated retrogamer. With newer versions of MAME (still have to figure out since when), the CRT-GEOM OpenGL shaders tested here no longer work. So you need to rely on BGFX with similar performance in the CRT-GEOM shader, which is basically no problem. Retroarch/MAME would be great, but only old versions work. The MAME/current core is outdated. MAME 2010 is decent for old school games, but buggy in my own testing. I am unsure about the stability of the Metal driver of Retroarch, it seems to crash from time to time. Retroarch/MAME under Ubuntu is a by far more stable experience (though it also has its limitations). I am particularly missing the brilliant Runahead feature in MAME/current cores (for Linux as well). So while I am constantly looking into this, current limitations are too many for a good MAME experience. What about OpenEmu? While I really appreciate their Mac approach on emulation, it simply comes with too many limitations in MAME - for a reason the MAME emulation is only experimental in OpenEmu. OpenEmu seems to use version 0.169 of MAME, and if I am not mistaken, this is also where Retroarch/MAME currently stands. Despite the higher learning curve, I would prefer Retroarch over OpenEmu. Shaders and in-game artwork (bezels and backtrops) make a huge difference. Just have a look at the title picture of this Blog, and you'll understand. Since MAME lives from the community, may I repeat that any feedback form your side is much appreciated! Apologies for missing out on them from time to time, but I surely read them all.